I’m looking at changing my AutoCAD setup and upgrading. It’s also a good chance to look at my hardware and studio setup. I wondered what spec machine everyone was using and if maybe we could share some photos of our, or dream setup, for inspiration! This setup below looks pretty amazing but do you think you could use this in reality? Surely the graphic card would have a melt down? What do you think? Love to see your setup. This is more like my desk, loving the super wide monitor though. Does anyone use them? CadMan Asked on February 6, 2017 in AutoCAD. As my hand are tied on most hardware i do have a little wiggle room with peripherals. 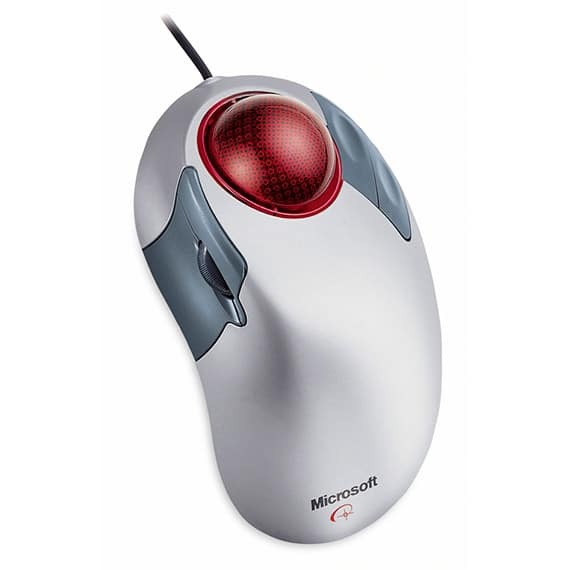 My dream is to once again have my precious… my,,, Microsoft Trackball Explorer..
CADnoob Answered on February 6, 2017. Haven’t these been around for years Noob? Wouldnt you like to test drive what Antoine shared? Looks amazing. I have always wished for a very wide portable setup; like the one you posted above, what’s the make and model of such laptop? It’s very helpful when you are working on multiple parts, multiple drawings and need interchangeable and relating dimensions to be shared between the two drawings without the hassle of using pen and paper; or you need to copy and paste features. This is a dream setup for any Drafter/Engineer. Totally an A+. JavaParaTrooper Answered on February 6, 2017. No words to describe; just this. Not portable though. Love the idea though! 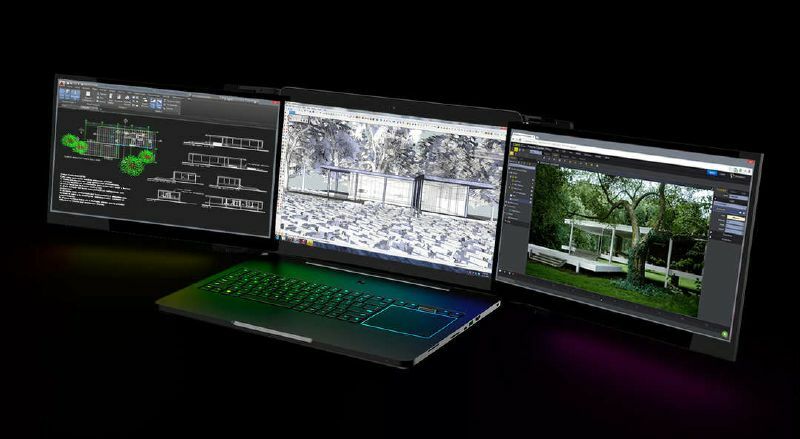 Awesome for AutoCAD and gaming! I think it will be fixed soon enough in the next hotfix until then, maybe you just gotta run on a little bit lower resolution. You no longer have to use a mouse to model any character/tree/fountain or anything else imaginable; you just sculpt away your imagination and the character comes to life; I have always wanted to have one of those, 2 hours modeling can be done in a simple 20 minutes or so. Jack TheBlack Answered on February 6, 2017. Definitely getting one of those. Nice bit of kit CustomShop! Any idea how much it will cost? The website doesn’t have any pricing on it. There’s so many cool peripherals out there now! Thanks for sharing this one. Love it. 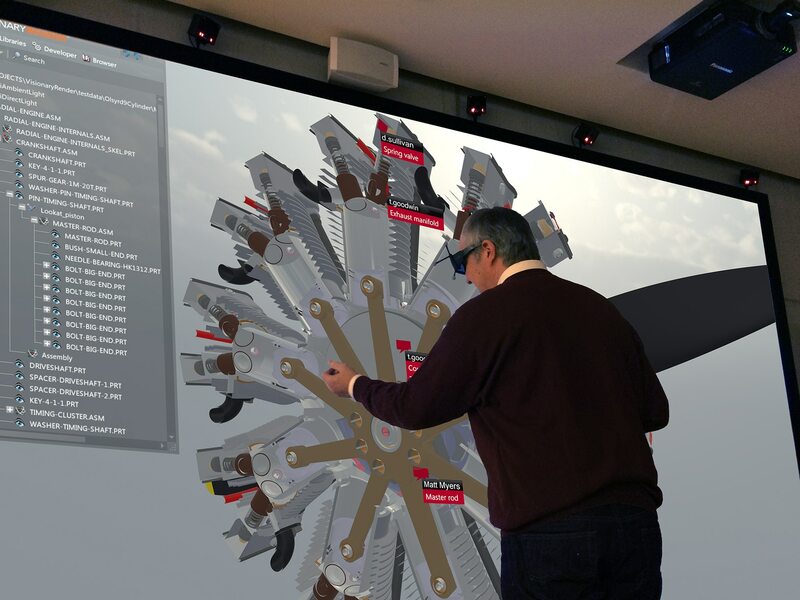 Yes that’s exactly what you are thinking it’s, CAD Modeling using VR Kits – Welcome to the mid-21st century baby. Buy me one of those, and I’ll take you places; my room and other ordinary places mostly. Robert Carlos Answered on February 6, 2017. Hey Robert… do you think this tech is that far off? I wonder how practical it is really? If you could back project a screen then you’d have a large canvas and then you just want to think about touch. Do you have a video of this bad boy in action or is it just a concept now? SpacePilot Pro. I’m sure this thing practically designs stuff on its own. 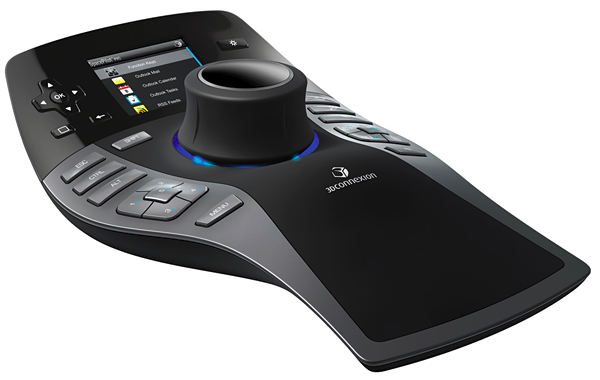 Everything is built around a huge 3D knob, next to that you’ll get 21 buttons, big LCD screen, tons of CAD specific functions and ergonomic design. You can use the LCD screen to keep track of your emails, calendar and tasks and keep your main screen clutter free. Best check out their website and demo, this thing is crazy. Even though it’s 399$; it’s worth every penny of it. Antoine Answered on February 6, 2017. Wow! Antoine, this thing in insane. It isn’t even that expensive. So awesome. A proper control centre. I looks like it would be pretty comfortable too! I wonder how comfortable it is to use the 3D Knob all day? Would you get RSI? The price looks good too. Such a great idea to have a readout on the dashboard. Robert’s post above got me thinking…. Has anyone seen a VR CAD concept? I wonder if we’ll get VRCAD soon where we do our work in ‘infinite space’ and then can walk around our renders! How incredible would that be. Has anyone seen this yet? CadMan Answered on February 7, 2017. Ahmed Hassan Answered on February 13, 2017. When i started off. I used a Core 2 Duo with 1 GB RAM and Windows XP. I installed CATIA v5, SolidWorks 2010, AutoCAD 2010. They worked fine. however i had heat related issues while rendering. Right now you can get an i3 or i5 or i7 processor. with a decent 4GB or more ram is more than sufficient. They work fine even in 2GB RAM but if you want to push a software to its limit. Like rendering with ray traces working large files. Then go for 4GB or more. nishagg893 Answered on February 9, 2018.